Available furnished or unfurnished this office space is located in the heart of Mansfield on the Millennium business park just off of the A617 Chesterfield Road. Ideally located for commuters with access to the M1 motorway just a short drive away. Workshop and studio space also available. 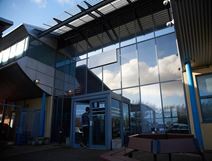 This centre, ideal for new or growing businesses, has serviced office space available in a striking building, with cafe, child care, and telecommunication services, and access to meeting room facilities. This business centre provides an ideal professional and creative environment, with great views of its surroundings. 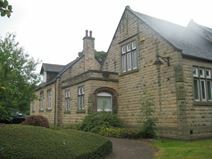 The centre is located close to Mansfield train station and the M1. A variety of offices are available in this quality refurbished building in Mansfield town centre. The accommodation comes fully furnished with IT and telecoms installed, and the rates are inclusive of utilities. The location is convenient for the railway station, which is a short walk away and there is on-site parking. This centre is located close to Mansfield City Centre, and offers a range of offices in a variety of sizes. This is very flexible and comfortable space, available for immediate occupation. A range of other services is also provided. This business centre is situated just a five-minute walk from Mansfield town centre. The property is home to several self-contained office suites that are accessed via a shared reception. The suite available features office space on the ground floor, a kitchenette as well as a large open-plan office upstairs. 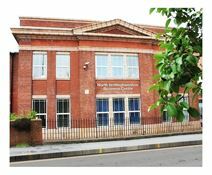 The building itself is a beautiful converted school building that is perfect for new or growing enterprises.